Rope making is an ancient and highly skilled trade that in many advanced economies is now based on man-made fibres and is highly automated. 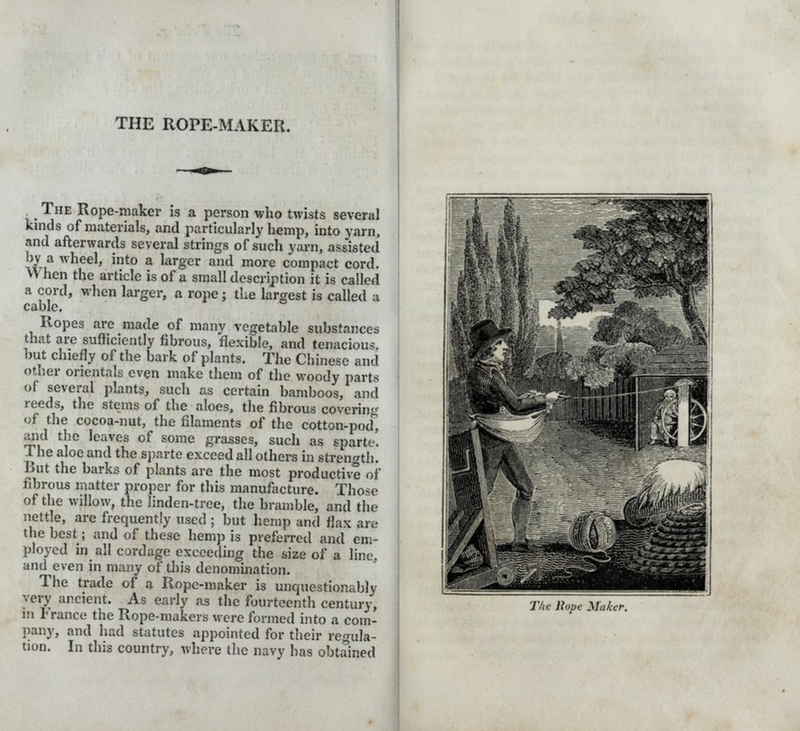 The image above shows what rope and cord making was like in the 1800s. Full book HERE.